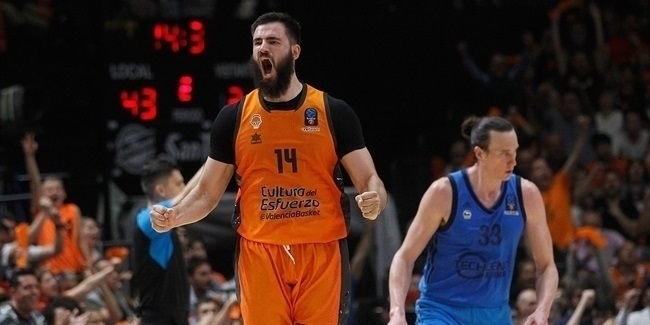 Game 2 of the 7DAYS EuroCup Semifinals gave us the first finalist. 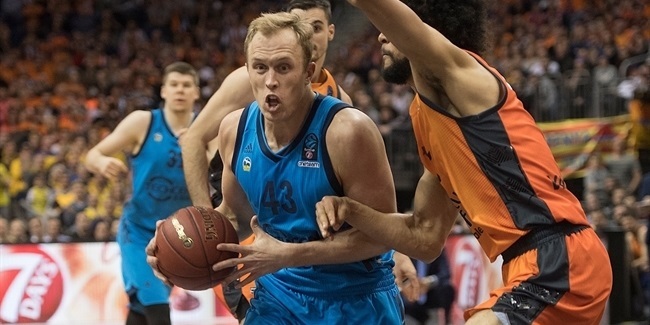 Competition debutant Unicaja Malaga reached the finals by sweeping Lokomotiv Kuban Krasnodar. Point guard Nemanja Nedovic played a key role in Unicaja's 74-63 win in Game 2 on Friday night and in the process earned MVP honors for his performance. Nedovic matched his career-high with 21 points, making 3 of 6 shots two-point and 3 of 7 three-point shots. He went 6-for-8 from the free throw line, dished 4 assists, drew 7 fouls and had a rebound and a steal. His performance index rating 23 was also his career best and the highest among players on winning teams in semifinals Game 2. 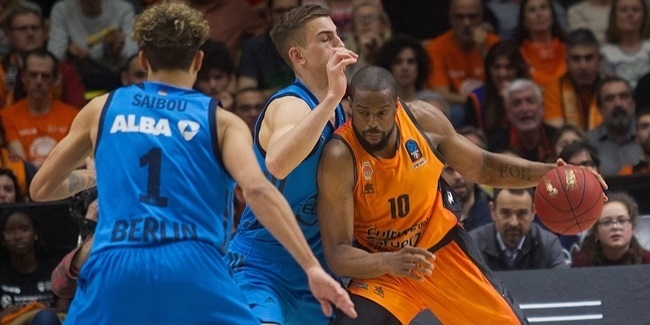 The highest index rating for Game 2 of the semifinals belongs to Rafa Martinez of Valencia Basket, who accumulated a PIR of 24 in his team's 79-66 defeat at Hapoel Bank Yahav Jerusalem. Martinez netted 22 points, shooting 4-for-5 for two, and 4-for-7 for three, and had 5 rebounds. Jerusalem's Tarence Kinsey rounds out the list of Friday's top performers with his performance index rating of 20. Kinsey scored 18 points, and had 2 rebounds and 2 assists, in his teams Game 2 victory. Martinez was the top scorer in Game 2 with his 22-point performance, and Nedovic followed with 21. Kevin Jones of Lokomotiv Kuban Krasnodar had 10 rebounds to lead all players in 7 DAYS EuroCup Semifinals Game 2, followed by Bojan Dubljevic of Valencia, who had 9 boards. Meanwhile, three players dished 5 assists each – Taylor Rochestie and Mardy Collins, both of Lokomotiv, and Curtis Jerrells of Jerusalem – the most in Game 2.